Please welcome today's paranormal guest author E.V. Fairfall! E.V. is the author of Transformed. 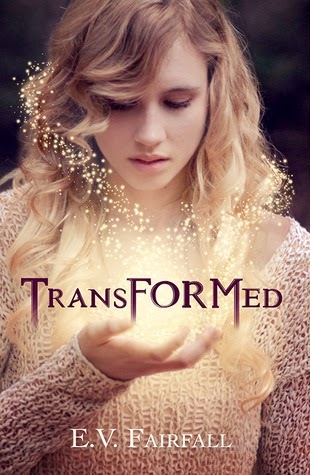 Keep reading for a chance to win an ebook copy of Transformed by E.V. Fairfall. EJ: What makes Transformed a unique story? EV: Well, let me first ask you this: how often have you read a book in which God and Mother Earth are siblings? Or a book in which Earth itself is an entity of its own, and prevents God from doing anything he wants? How often have you read a book in which Mother Earth is able to take any form except for that of a human because it is forbidden? Though Transformed is a story about finding one's self, it also explores the foibles of being human and the value of all life. It is about making mistakes and finding a solution, even if that solution isn’t what was originally intended. EJ: Where does the story take place? EV: Transformed takes place in a small mountain town in Colorado. This fictitious town resides next to a forest and is green and lush (Colorado can get very dry), and because of its high elevation, it has strange weather patterns. EJ: How important are names to you in your books? Do you choose the names based on the way they sound or the meaning? EV: Names! Names are so important to me, mostly because I can’t actually write a character without first knowing their name. I can have the perfect scene in my head but until I find a name that I know fits the character, I just can’t write them in. I don’t pick names based on the sounds, but sometimes I pick a name because of its meaning. Mostly I just know when a name works for my character. As for resources, I tend to use lots of baby naming websites. EJ: Who is your favorite character from Transformed and why? EJ: Give us some insight into your main character. EV: Thea is God's sister and has spent her life filling the role of Mother Earth, creating the plants and animals and serving as their guardian. Alongside her brother God, the two siblings used their light to create for hundreds of years. She doesn’t understand humans, and she likes them even less. It isn’t until she takes a human form that she begins to understand what she has been missing out on, and ultimately she gains a deeper understanding of her brother and what it means to be a part of a family. EJ: Did you have a specific song or playlist that you listened to when you were writing Transformed? EV: I actually can’t listen to music when I write. I wish I could. Sometimes a song will inspire me or motivate me, but while writing I need quiet. Of course, that never really happens because I live in an apartment with paper thin walls—but that is part of the adventure. Thank you E.V. for joining us here today at From the Shadows! To learn more about E.V. 's books, please visit her Goodreads author page. We are giving away an ebook copy of Transformed by E.V. Fairfall to one lucky winner! To enter, leave a comment on this blog post. Please include your email address so we may contact you if you win. This giveaway is INTERNATIONAL. Giveaway ends March 28, 2014 midnight EST. This book sounds fascinating! I need to read it. The location sounds most interesting.